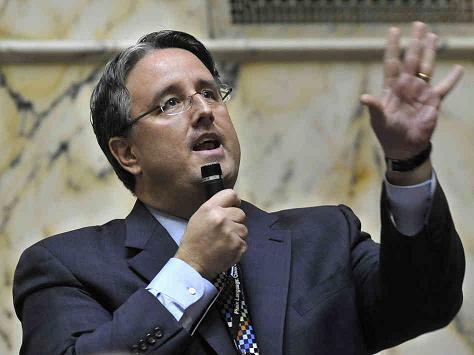 A key provision in a speed camera reform bill was eliminated after State Senator Richard Madaleno (D, Montgomery County) submitted an amendment removing a requirement that citation images show evidence of speed. Senator Madaleno's amendment denies motorists access to evidence which in most cases is the only thing which can exonerate a falsely accused motorists who receives an erroneous speed camera ticket. Senate Bill 207, sponsored by Senator James Brochin (D, Montgomery County) originally contained two key provisions: 1) clarifying an existing to provision of the law (which is currently being widely broken) to ban speed camera contractors from being paid based on the number of citations issued, and 2) to require citation images to "ALLOW FOR THE CALCULATION OF THE SPEED OF THE MOTOR VEHICLE " (ie, secondary evidence of speed). Senator Madelino's amendment changed the language of SB207 from stating that speed camera images must "PROVIDE SUFFICIENT INFORMATION TO ALLOW FOR THE CALCULATION OF THE SPEED OF THE MOTOR VEHICLE " to instead say "PROVIDE SUFFICIENT INFORMATION TO SHOW THE PROGRESSION OF THE MOTOR VEHICLE". By changing the language of the bill from "speed" to "progression", they have changed the meaning such that the bill would no longer require secondary evidence of speed. As amended, citation images would merely need to show that the vehicle is present and moving, something which is not in and of itself a violation of the law, and which provides absolutely no protection to motorists who are accused based on an incorrect speed reading. Brochin's bill was prompted by revelations that speed cameras in Baltimore City had systematically issued erroneous speeding citations, with 1 out of every 20 citations from some cameras proven to be in error. This included large trucks accused of traveling twice their actual speed The errors were discovered only due to the fact that Baltimore City's speed cameras had millisecond precision timestamps as well as videos which made the erroneous speed readings provable after the fact. However many speed cameras in the state do not provide accurate timestamps on images, sometimes rounded down to the second when the time interval between images is actually a fraction of a second which is information that is denied to ticket recipients, so proving speed after the fact would be impossible. The fact is speed measurement errors can occur with any system. The Washington Post once reported that a speed camera falsely cited a Silver Spring couple for a 100mph rampage when in fact they had not been speeding. Such errors are far more common than speed camera supporters will admit, and have happened around the world. In the UK, a van driver was recently fired over a 103mph speeding ticket which authorities would eventually admit was due to an error. In Fort Dodge Iowa, speed camera contractor RedSpeed admitted that they were seeing erroneous speed readings for large vehicles in an area the town's police chief described as 'the Bermuda Triangle'. Xerox corp has admitted that "very flat, metallic, back panel of these types of truck can act as a RF mirror and cause radar signal reflection that can bounce between the receding vehicle(truck) and the approaching vehicle (car in the opposite direction) and results in high doppler changes, hence higher speed readings". And in a report to Baltimore City conceding the existence of systematic errors, Xerox Corp stated that "Radar effects are caused by reflection, refraction, and absorption" and that "The radar effect is a know property of radar". As such any radar device has the potential to produce false speed readings, and the speed camera vendors know this. The same type of speed camera which produced erroneous speed readings in Baltimore City are also used in Baltimore County and the City of Rockville. Baltimore's then contractor Xerox Corp (who has since been replaced in Baltimore City) is also the contractor in Montgomery County, Frederick, and the State of Maryland's speed camera program. As such there is no reason to believe equipment used by other speed camera programs in the state is any more foolproof that the equipment used by Baltimore City. Senator Madaleno: Sponsor of the "Scamera Coverup Amendment"
The TRUE REASON some lawmakers oppose the requirement for secondary evidence of speed is because they FEAR that the Public and the Press will find systematic errors in other speed camera programs, just as has already happened in Baltimore City. Madeleno's amendment has the effect of denying motorists the right to a fair defense and of ensuring that in many cases they will be presumed guilty. In most cases, secondary evidence of speed from citation images is the only thing which can give a falsely accused motorist a fair shot in court. And unless it is REQUIRED, such evidence will not be provided and errors will simply be denied by the agencies which profit from cameras. As an example, in past years recipients of tickets issued by Optotraffic speed cameras that citations had been successfully disputed in court using the millisecond precision timestamps on the images to contest speeding citations. In fact a document written by Optotraffic specifically stated that "Since a stationary object is present along with the vehicle, a photographic method also determines speed, guaranteeing fairness”. However after Optotraffic and their clients started receiving bad press over the errors -- and after Optotraffic lowered the timestamp precision on their citations from three decimal places to one!!! -- motorists who tried using citation images to dispute speed readings in most parts of the state started losing these cases fairly consistently. Some judges have even openly stated to entire rooms full of defendants, before any evidence was presented, that there was no defense they would accept challenging a recorded speed reading. The fact that Optotraffic cameras are capable of producing "false triggers" was eventually proven by documents released by the town of Cheverly. However local governments including Prince George's County, Forest Heights, College Park, and Riverdale Park continue using the devices, and Optotraffic has yet to admit to a single error. Only Baltimore City seems to be the exception... because there were videos and millisecond precision timestamps judges could see that the speed readings were in error, and many cases have been dismissed. Had it not been for the detailed evidence, trucking companies would never have been able to provide us with our first evidence that these errors were taking place, the Baltimore Sun's series on these errors never would have been written, the documents we found showing that the city had known about the problems for months without taking the cameras offline would never have been found. It is entirely possible those same defective cameras would still be on the streets today issuing erroneous citations. Baltimore City and Xerox could have denied these errors, exactly the way Optotraffic, Forest Heights, College Park, and other jurisdictions did. And some of the professional drivers who received the tickets might even have been fired because their employers would have assumed the citations were correct. As amended, this provision may actually make matters WORSE for defendants in speed camera hearings, because it corroborates the position of the camera vendors that the citation images are only intended to show "movement" rather than speed.... even though it is not a crime for a vehicle to be "present and moving". By contrast, Senator E.J. Pipkin submitted an amendment to the bill which would clarify the law and prevent speed camera vendors from allowing the manufacturer of the device to certify their own equipment... a practice which has been done by the SHA and more recently in Hagerstown and Laurel. E.J. Pipkin, unlike Madaleno, has been a stalwart supporter of motorist rights. However we note that the cameras in Baltimore City issued erroneous tickets even when the devices passed all tests, with one camera passing its daily self test on the very day it issued an erroneous citation to a stationary vehicle. As such, while Pipkin's well intentioned amendment may correct the PROCEDURAL issue, without the requirement for secondary evidence of speed the amended SB 207 no longer contains any provisions which address the accuracy issues revealed by Baltimore City's situation. When a police officer issues a speeding ticket, there IS in fact "secondary evidence of speed" -- the police officer's eye witness testimony. Since most speed cameras are unmanned, no such eye witness exists. Furthermore the burden of proof for speed camera citations is explicitly lowered to allow conviction without requiring proof "beyond reasonable doubt" and without the testimony of either the camera operator or citation approvers. "2.18.2 Unattended Operation. If the ATR device is to be considered for unattended operation, the manufacturer shall provide a secondary method for verifying that the evidential recorded image properly identifies the target vehicle and reflects this vehicle’s true speed, as described in §5.18.2. This may be accomplished by means of a second, appropriately delayed image showing the target vehicle crossing a specified reference line." Unfortunately, Maryland law does not require speed cameras to meet nationally recognized standards. Cameras which can capture images will millisecond precision are now fairly commonplace technology, you have seen it in sporting events capturing 'photo finishes' and images taken fast enough to showing bullets in flight. Yet speed camera manufacturers take the convenient position that their supposedly state of the art, infallible equipment cannot do this. At the senate committee hearing for SB 207, and college professor and a radar expert both testified that requiring citation images to have accurate timestamps with lines painted on the road was the best way to verify accuracy after the fact. You can hear the audio of the senate committee testimony on SB207 here. At one point, Montgomery County officials stated to the press that they already used citation images to verify speed. So why is a Montgomery County senator now rejecting this, and why did Montgomery County send officials PAID WITH YOUR TAX DOLLARS, to oppose the idea in the senate hearing? It appears Baltimore City may already have taken steps to ensure "this will never happen again": the new cameras which are replacing the old ones will not provide video. In the future they need not there will be no images of trucks accused of driving 70 mph in a school zone actually calmly moving with traffic, or of "speeding" vehicles which are actually coming to a stop at a light. And if Madalena has his way, Baltimore and every other jurisdiction are free to lower the timestamp precision as well. Write to your State lawmakers TODAY and tell them to retract Senator Madaleno's amendment to SB207, and to pass legislation requiring speed camera images to contain timestamps detailed enough to verify SPEED. Find Your State Lawmakers Here. The now greatly weakened SB207 passed the Senate with a 46-1 vote. And will now proceed to the House of Delegates. The Senate did not restore the secondary evidence of speed requirement before passing it, PRESUMABLY BECAUSE TOO MANY LOCAL GOVERNMENTS ARE TERRIFIED THAT ERRORS WILL BE UNCOVERED IN OTHER SPEED CAMERA PROGRAMS IF PEOPLE ARE ALLOWED ACCESS TO EXONERATING EVIDENCE. SB207's remaining provisions would still eliminate the bounty system, ending the practice that speed camera companies be paid based on the number of tickets issued. Even Governor O'Malley has recently stated that this (now common) practice violates the intent of state law. As such the amended bill merely clarifies existing provisions of state law which are being widely broken right now. 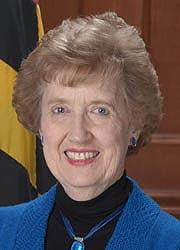 The sole vote against the remaining provisions of SB207 to eliminate the bounty system was cast by Senator Jennie M Forehand (D, Montgomery County). Senator Forehand was one of the sponsors of SB389 -- a bill which would actually have WEAKENED CITATION REVIEW REQUIREMENTS by allowing private contractors to approve tickets instead of police.